The Property Council has called for the NSW government to consider innovative models to address the problem of homelessness. The release has come ahead of the annual meeting of Federal and State Housing and Homelessness Ministers in Sydney. 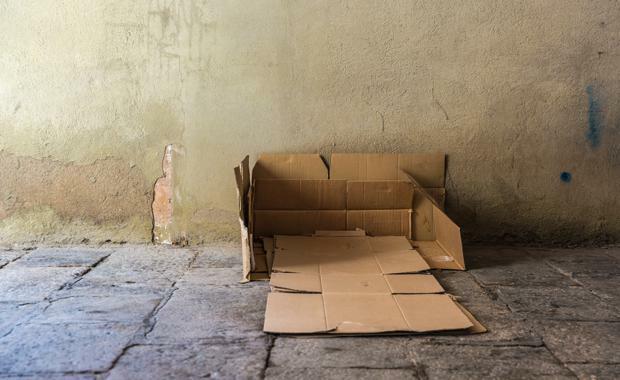 Property Council NSW Executive Director Jane Fitzgerald said that homelessness in NSW is an issue that requires a coordinated response from the government, private and community sectors. “Over the five years to March 2016, dwelling values in Sydney rose by 42 percent," she said. "This soaring cost of housing has put an increasing number of people into rental and mortgage stress, particularly those on low and very low incomes. “Increasing the supply of private, affordable and social housing must be a critical part of tackling homelessness. "However, it is one that the constrained balance sheets of state and federal governments cannot meet alone. “There are government programs that are already working well to address the problem such as the Social and Affordable Housing Fund and Communities Plus, but we need to do more.” Ms Fitzgerald said. In preparation of the ministers' meeting the Property Council prepared three models for consideration where private, community and public sectors can work together to address the growing problem of homelessness:“Firstly, The Property Council considers that a model based on the Low-Income Housing Tax Credit (LIHTC) in the US could be implemented in Australia, and significantly improve the delivery of affordable housing. "The LIHTC program has been operational in the US for almost 30 years, and has created 2.5 million rentals for low income households in that time. Secondly, there is a lack of large professional property and building management entities that could be engaged to manage a residential asset on an investors behalf. Let’s shape a model to build the capacity to meet the demands of institutional level investment. "Thirdly, there is little to no institutional buy-in to residential Real Estate Investment Trusts (REITS). "We can encourage investment through the provision of land from the government, concessions on taxes or fees for suitable development, faster development assessment and improved flexibility in planning regulations. ""By working together, we can introduce new approaches to tacking homelessness," Ms Fitzgerald said.